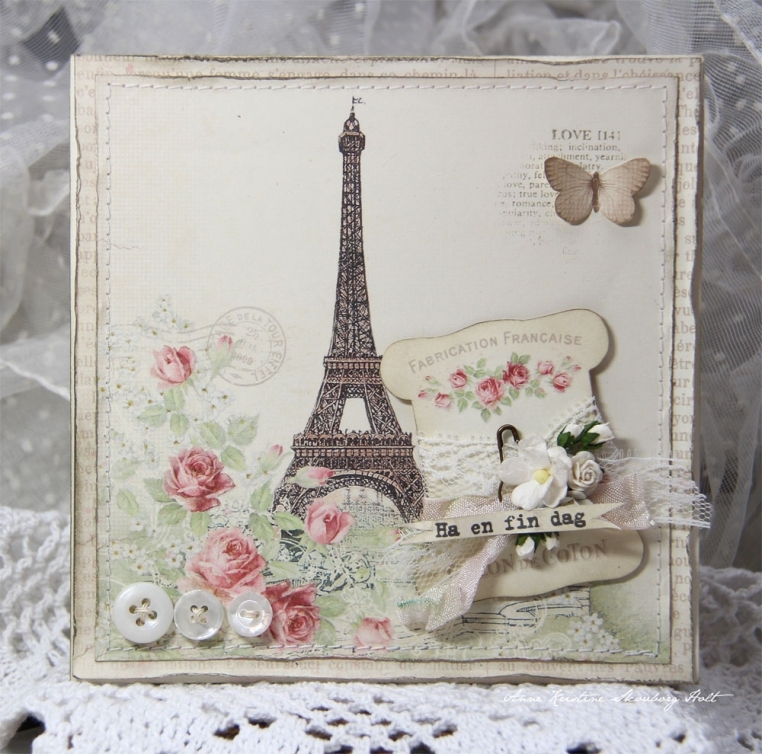 A card made from beautiful new Paris Flea Market. 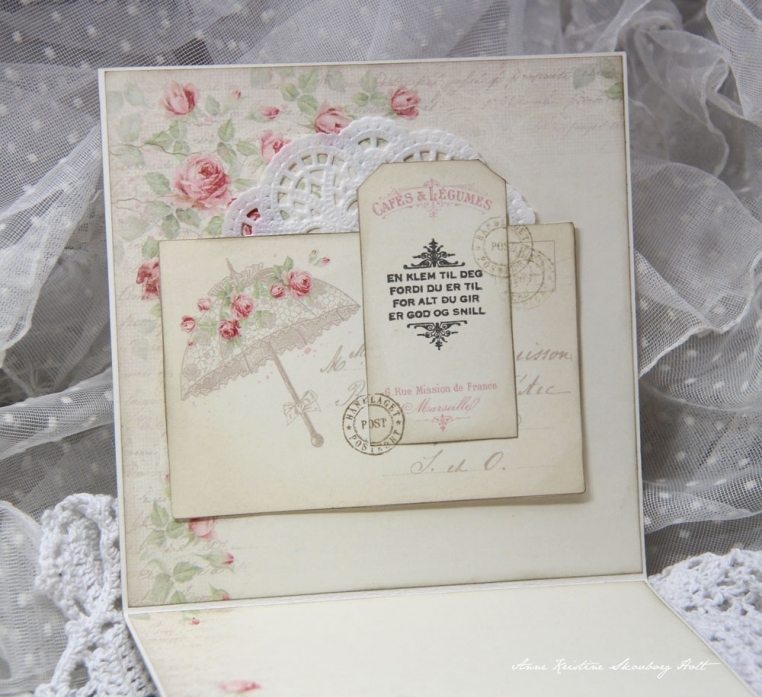 WOUW WOUW WOUW This is such a beeautiful card here. I just love this new collection, and can´t wait til it lands here in our stores too, IF it just do , as it´s unfortunately not all they take in here, I´m afraid, but this one is very high on my wishlist, and even more after seing all the amazing things you girls are making with it too.